… Will admirable works of scholarly reporting also keep coming out? I’m even more confident answering this question affirmatively. One such work, Country Driving: A Journey Through China from Farm to Factory, is being published in February, and it’s the best yet from Peter Hessler, whose two earlier books, River Town (2001) and Oracle Bones (2006), were exemplary forays into the genre. 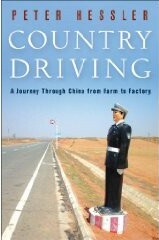 Country Driving begins with the author recounting his quixotic efforts to follow the Great Wall by car, depending on flawed maps that sometimes left large sections blank (for political reasons) and often seemed hopelessly out of date right after being issued (due to how fast new thoroughfares are being built). The next section describes Hessler’s experiences living in a north China village that is transformed by the construction of a new road that links it to Beijing. The book concludes with a look at the economic dynamics of “instant cities” that keep springing up along a highway south of the Yangtze River. 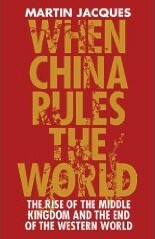 (Read “China Takes on the World.”)I haven’t been to the places Hessler describes in Country Driving or met the people whose stories he tells with his characteristic blend of empathy, insight and self-deprecating humor. Yet I never doubt for a second that he’s writing about the richly hued and socially variegated country that I know, as opposed to one of the imaginary lands conjured up in Big China Books. Country Driving won’t satisfy those who like answers to Big Questions that can fit on dust jackets. Still, it captures beautifully the rhythms of life in a nation that is being turned inside out so quickly that it is not just lone American writers, but also Chinese from varied walks of life, who often find themselves struggling to traverse uncharted territory, armed only with their wits and with maps that become obsolete as soon as they are printed.